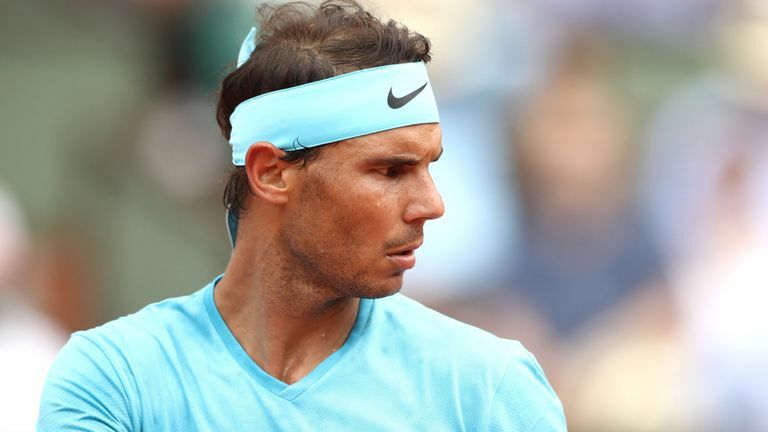 Rafael Nadal injury update : will the Spaniard return before China Open? Tennis World No1 Rafael Nadal could be back in time to take part in the China Open which kickstart on the first of October. The tennis star pulled out of US Open while in action against Juan Martin Del Potro in the semifinal of the competition. According to former world No2 tennis player Alex Corretja, Nadal’s injury looked a bit minor, however, it is intense enough to mar his dream of winning the US Open. Corretja told reporters that Nadal wanted to continue the match against Del Potro but he couldn’t due to the pain he felt on his knee. This season has been a difficult one for the Spanish No1 as he battled so many injuries. It should be recalled that Nadal pulled out of Australia Open due as result hip injury which ruled him out of action for three months. As result of his knee injury, Spain couldn’t count on the experienced player at the ongoing Davis Cup. Bruguera confessed that the team are unhappy for not having the World No1 in their team. According to Bruguera, Nadal is a great player whose experience would have helped the team during the competition. Though Corretja suggest that Nadal might be back before China Open, it remains unknown if he would be fully fit to compete in his best form during the competition at the Asian country. An action-packed year of tennis came to a close in mid-November after young German Alexander Zverer upset two of tennis’ biggest names, defeating both Roger Federer and Novak Djokovic in straight sets. In claiming the ATP Finals title, he has become one of the favourites on Paddy Power to win the first Grand Slam of the new season, the Australian Open. All the conventional front-runners have got ample time to recover from injuries and fatigue along with all the other players ready to fire all the cylinders — the first major tournament of the year is going to be a splendid affair for the lovers of the game. As the event is right around the corner, let’s take a look at some of the favourites that are more likely to end the tournament as the victor. There’s no surprise that Novak Djokovic is the current favourite to win the 2019 Australian Open given his history in the tournament. Much of Novak’s success has come in Australia as he has won six of his fourteen Grand Slams at that venue. The defeat at the hands of Zverev in November has only made the Serbian more determined to work harder in the 2019 season, which is a warning for any players hoping to copy Zverev in defeating the 31-year old. Should he be able to continue his Australian Open success, then expect this season to be the Novak Djokovic show. As long as he’s fit, it would be criminal to rule out Roger Federer as being in with a chance of winning. It’s been a phenomenal year for the Swiss maestro and he has been vocal about his ambitions of smashing all the records before he waves a final goodbye. And speaking about records, he has bagged back-to-back trophies at this venue for the past two years and his experience gives him an edge over others on the court. The chances of Federer winning his 21st Grand Slam this year are likely, however, whether it’ll be the Australian Open or not remains to be seen. Although he’d love to win another Australian Open, he might be more inclined to prepare for the summer where he’ll have the opportunity to win a ninth Wimbledon title. Injuries have put him off the court for the majority of the time this year but a fully-fit Nadal would always be a threat on the court. He has had a two-month break after a successful knee surgery and has restored his rhythm by playing a few exhibition matches. He looks all set to give a fair fight in the tournament that he has won just once. However, winning this title would make him the second male player to win all the Grand Slam titles at least twice, after Rod Laver. Keeping this in mind, he’d be all in to taste this trophy once again. He’s the future of this game. He’s just 21 and the way he moves around the court, he does it as though he truly belongs there. Although he did get some trophies under his belt this year, his performances in the major tournaments have been underwhelming. His biggest accomplishment in a Grand Slam tournament has been reaching just the quarterfinals. Although he’s maturing with time and he ended his year in the best way possible — he Federer and Djokovic bite the dust by defeating them in straight sets at the ATP Finals and clambered onto the fourth spot in the ATP rankings. The inclusion of Ivan Lendl in his team has been crucial in improving his game and his preparation off the court. 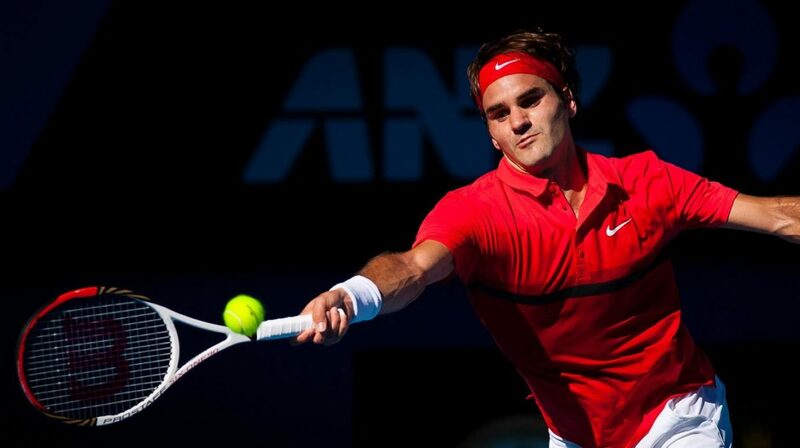 If not the Australian open, he is still likely to win a Grand Slam this year. When the tournament kicks off on Monday 14th January, all eyes will be on these four players to see how they begin in the hunt for the first Grand Slam of the year. 20-year-old Tennis player Naomi Osaka won her first grand-slam title on Saturday when she defeated her ‘idol’ Serena Williams 6-2, 6-4 in a match that was filled with controversy and fallout. The player was rewarded with an instant cheque of $3.8m by the tournament’s organizers for her great run of form throughout the competition. However, there are more rewards for the youngster with the latest one reportedly coming from a sporting retail giants Adidas. According to reports, the Jamaican international is set to sign a new deal with Adidas, which would make her one of the highest-paid women in Sports. 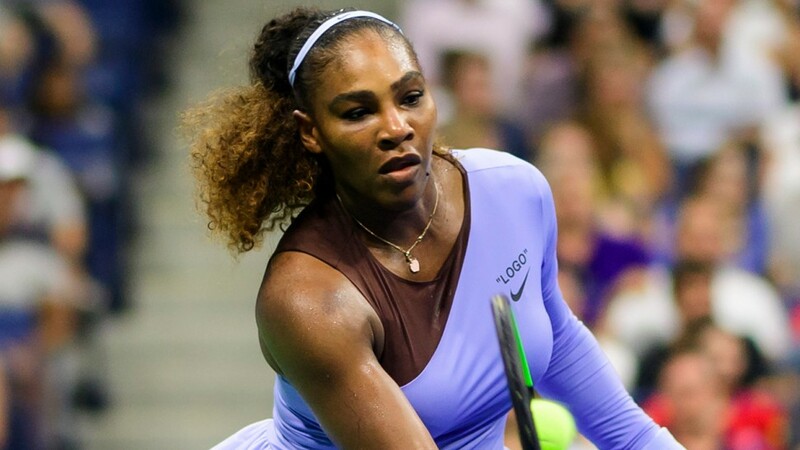 Yahoo Sports claimed that the contract would see her become the second highest-paid sport woman, a place behind her childhood role model Serena Williams. The contract is said to worth nothing less than $8.5m and that will be the biggest deal Adidas has ever signed with a female athlete in their history. Naomi, who became the first Japanese player to Win US Open final, is definitely reaping the reward for her hard work throughout the competition. The Times also revealed that the deal is set to be sealed as early as tomorrow (Thursday), should everything work out as planned. All eyes are now on the youngster to see if she would be able to continue her rapid rise to fame in a short period of time. 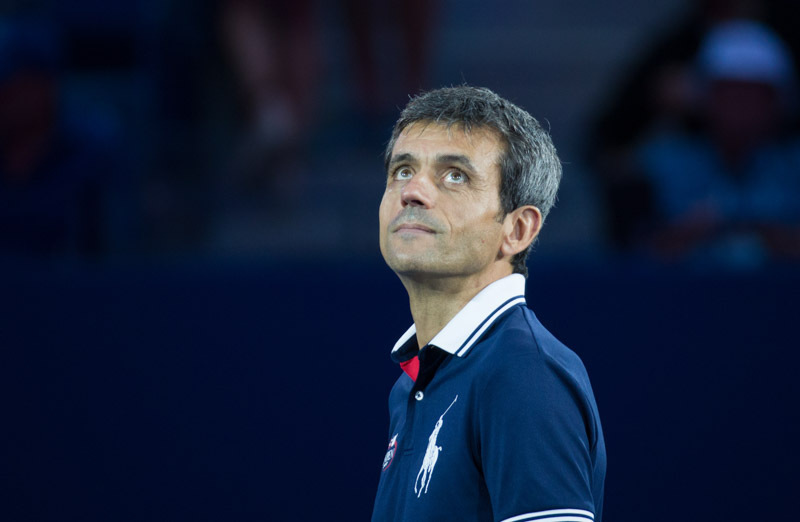 Umpires frowned at the treatment of Carlos Ramos by Serena Williams in the US Open final. A match that already saw Naomi Osaka cruising to win her first ever Grand Slam title did not burst up completely without a show of entertainment. The 23-time Grand Slam winner Serena branded Carlos Ramos a “thief” and a “liar” while she continued to muster words seeking for apologies who after the match proclaimed that sexism was behind his choice to dock her game. -third violation- verbal abuse (calling him a “thief”). She was, however, backed by United States Tennis Association (USTA) and Women’s Tennis Associative after the outbreak. Willians was fined $17,000 by the US Open for her revilement even after she earned $1,850,000 million for finishing second. She also added that she’s all about gender equality and thinks when one takes a glimpse at such a situation, it would be a story to be discussed another time. She equally asserted that we should treat each other (both male and female) fairly and the same. What do you think about Serena’s decision? 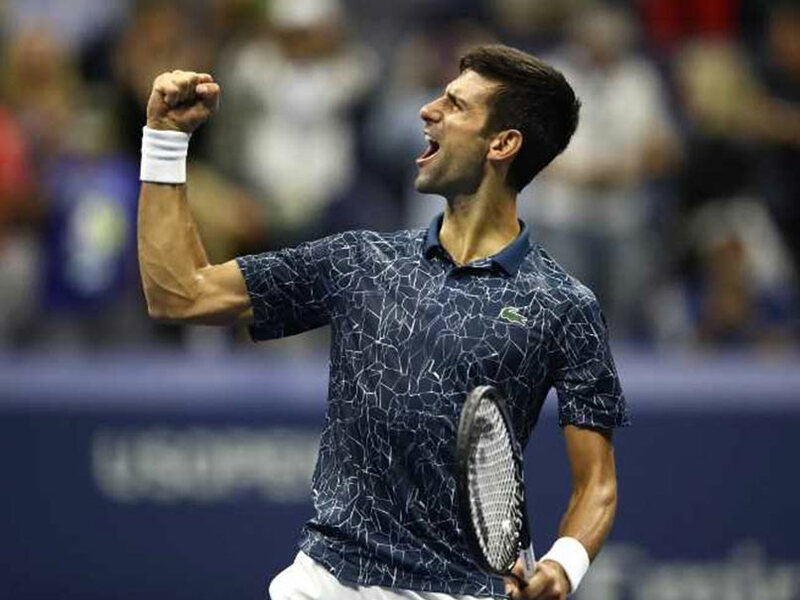 Serbian Tennis star Djokovic struggled to reach the semifinals at the ongoing Us Open as he defeated John Millman last night. The former World No1 struggled in the first set of the game but his experience was able to see him through to the next round of the competition by defeating his opponent 6-3, 6-4, 6-4. Despite his win, the Serbian is not happy with the condition of the court, according him, the atmospheric condition of the court was unbearable for him throughout the encounter. The called on the organizers to provide an air conditioning inside the Arthur ashe’s Stadium. It was obvious Djokovic struggled with the temperature of the stadium as he changed his wears countless times before the end of the game, this is because his wears got wet too easily. It should be recalled that Rodger Federer — who shockingly lost to John Millman in the fourth round of the tournament — also complained about the heat and humidity level of the stadium. According to Federer after crashing out of the tournament, he struggled to breathe during his game against his fourth-round opponent and that played major role in his defeat. As much as Djokovic wants to see an air-conditioning stadium in the next edition of the competition, the Serbian star praised the organizers for the cover roof present in the stadium. Following his victory over Millman, many fans are tipping the Serbian to face his arch-rival Nadal at the final. The Spaniard progressed to the semifinals of the competition after recording a hard-fought victory against Thiem in a grueling four-hour encounter. 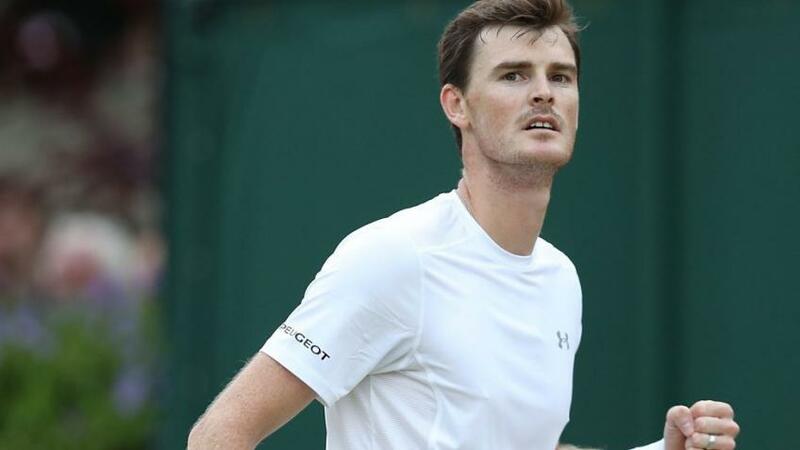 Jamie Murray has lifted the ongoing Us Open mixed doubles tittle as he paired with Bethanie to defeat Alicja Rosolska and Nikola Mektic on Saturday. The Scottish Tennis player and his partner lost the first set of the encounter before they managed to their rhythm for the rest of the game. With this victory, Murray is now a mixed doubles title champion for the third time while Bethanie is wining title for the first time in his career. They defeated their opponents after three sets. As said earlier, they lost the first set (2-6) but the second (6-3) and third set (11-9) saw them lay hold of the title. It should be recalled that Jamie Murray won the same crown alongside Bruno Soares in 2016. Just the Scott also repeat such feat last year with Martina Hingis, who retired after winning the doubles. Meanwhile, Rafa Nadal’s supporters won’t have the chance to see the Spaniard in this year’s US Open final as he was forced to pull out of the competition by knee injury. In other US Open news, Serena Williams and Osaka are set for a very crunch tie as both players battle for the crown later tomorrow. The 20-year-old Japanese is definitely an underdog heading into the encounter, but she will draw inspiration from her last meeting with the former World No1 when she defeated Serena some months ago. Former women’s World No1 Serena Williams is on her way to winning another US Open title after beating Anastasija 6-3, 6-0. Though, she trailed her opponent 2-0 in the first set, she rediscovered her great form soon enough to defeat Anastasija. The victory now makes her one of the most decorated Tennis player in the history of the game as she’s through to the 31st grand Slam finals of her career. Speaking after her victory, the player who recently returned back to court after giving birth, said she it wasn’t an easy run through to the final round of the competition. She further made an arrogant comment about her opponent when she said she only came into the net to “shake hands” with Anastasija. With the victory, Serena will battle Naomi Osaka in the the final on Saturday. 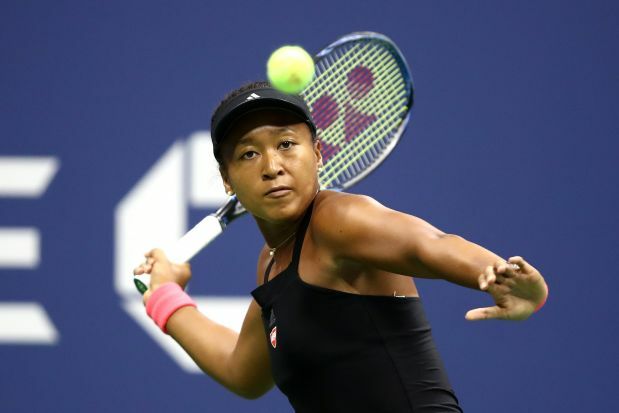 Osaka, 20, became the first Japanese woman to qualify for the final match of the US Open when she overcome Madison Keys, 6-2, 6-4, last night. While speaking ahead of the final clash against Serena, Osaka confessed her love for the former World No1. According to her, she loves Serena, her mom and her fans but she is going for nothing but victory against her upcoming opponent. Novak Djokovic is set to equal Pete Sampras’s record who won 14 Grand Slam titles. Djokovic will face Juan Martin del Potro in Sunday’s Open final. The Serbian international will have to put long-lasting friendship aside as he aims at getting the title. Djokovic has however been defeated 5 times in New York but he became the champion in 2011 and 2015. However, he had a little break due to injury that made him very close to retirement three years ago. He also had a little problem in what saw him faced defeat in 2016 Roland Garros which looked like he was going to skip Wimbledon after sustaining an elbow injury. The injury eventually made him skip 2017 US open and as well made him get easily defeated in Australian open in January. Djokovic later became fit to participate in Wimbledon when he won his next title. Djokovic paved his way to the final without facing either Federer or Nadal who both left earlier than expected. A victory for the Serbian would see him six majors behind Federer and three behind the Nadal . O n head-to-head, Djokovic has won Del Potro 14 times in 18 meetings. We look forward to seeing a very fascinating match on Sunday as both friends meet again. Rafa Nadal, once again, had to labour hard to get qualify to the Semi-finals stage of the ongoing US Open as he defeated Thiem in a match that lasted for four hours. The Spanish tennis player wasn’t in fine form at the start of the game as he was forced to make many errors by the World No9. After many errors, the Spaniard hit great form and he gets past his major rival 0-6 6-4 7-5 6-7 (4/7) 7-6 (7/5). In his post-match reaction with reporters, the World No1 Tennis player couldn’t hide his joy after the thrilling encounter. According to him, it was a tough match for him because he played against one of the best players of the game. Admit the first set wasn’t great for him as he lost his services to Thiem, but as the game progresses, Nadal said he got back to great physical condition and that helped him overcome Thiem’s challenges. Though he is happy with the victory, Nadal felt sorry for his opponent, who deserve to win base on his performance last night. He claimed was awesome against him but he didn’t get the victory he deserved because he battled a well-experienced player. With the victory, Nadal is on his way to becoming 2018 US Open champion, though, he still has two hurdles to cross before achieving the dream. “It was very demanding in all aspects. It was a very tough start for me. After that first set, then the match became more normal. A tough match against a great opponent. “It was physically demanding because the conditions were tough out there, too. And I played against a great opponent. He played a good match. Sorry for him. He’s a top guy.” he said. Six-time US Open champion Serena Williams has reached this year’s Quarter-final round after beating Kaia Kanepi 6-0 4-6 6-3 . The 36-year-old former world No1 won the first set in just 18 minutes to show that she’s returned back to full fitness and form. Kanepi fought back in the second set, applying her shot-making tactics that saw her through to this round despite facing the current world No1 Simona Halep. The Estonia international was wonderful in the second set as she won 4-6. However, Serena was able to overcome Kanepi’s challenge in the third set as she defeated her opponent 6-3 to wrap up the victory in just 97 minutes. Speaking shortly after her victory, Serena revealed that it wasn’t easy playing against the Kanepi, who has had a great career. According to the 23-time grand slam champion, Kanepi was hitting the return very hard, so, she turned to hitting the Estonian with bigger second serve. However, Serena also speaks on how hard it has been for her to return back to the court after having a baby. She said she wasn’t fully fit when she first returned to her career but she admits her physical level is becoming great and topnotch. “I like it when players challenge me to do that. I think what I have improved most is my fitness. Coming back from having a baby is really hard.” Serena said. The star player will now come up against Czech eighth seed Karolina Pliskova at the quarter-final round and the will be hoping to get past her opponent so as to stand a chance of wining her first US Open title since 2014. 5-7 7-5 7-6 7-6 in the longest four-setter in the history of the tournament. The Spanish tennis player was on the verge of losing to his opponents but had to push hard before defeating his Russian counterpart to progress to the next round of the tourney. Apart from Nadal, Serena Williams and her sister Venus were able to create a new record as they became the first sisters to play against each other for more than five times since the start of the tournament. Serena defeated Venus 6-1, 6-2 to progress to the next round of at the expense of her sister. The two sisters also created another record, becoming the first set of players to have more than 70,000 spectators in a tennis game. Both players started their career 30 years ago and they have achieved much success in the game, though, Serena’s success is much more than her sister. In other matches played at the US Open on Friday, Sloane Stephens defeated Victoria Azarenka in three sets. Kevin Anderson defeated youngster Denis Shapovalov as it took Anderson five set to overcome the Shapovalo’s challenge. As for Juan Martin del Potro clash against Fernando Verdasco, it took the former three hours to overcome defeat the latter after three straight sets.